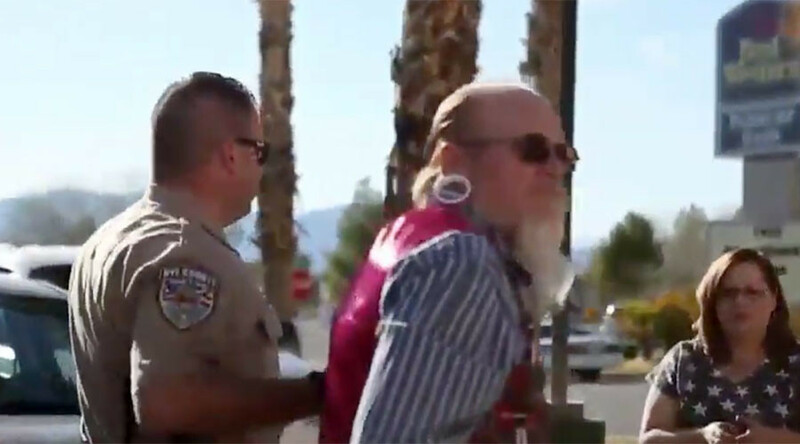 A Bernie Sanders supporter was removed from a Ted Cruz rally in Nevada, after heckling the Texas Senator aspiring to the Republican presidential nomination and getting into a scuffle with his sympathizers. Cruz was speaking about repealing Obamacare on a Sunday rally in the town of Pahrump. Craig Bohannon, a 50-year-old Bernie Sanders supporter, took issue with the candidate referring to the Affordable Care Act by its colloquial name. "It was rewritten by Congress," Bohannon shouted, according to CNN. "Not by the president! By Congress!" The Texas senator continued his stump speech, but was again interrupted by Bohannon. When Cruz began to speak about Obamacare a second time, Bohannon’s heckling grew louder. A Cruz supporter ‒ identified only as Don ‒ lost his patience and confronted Bohannon, and the two men stood at each other’s faces. "I need a cop here," yelled Bohannon, who had large gauged earlobes and black painted fingernails, according to CNN. "I need a cop. I want to file charges!" An officer was escorting both men out of the rally when a scuffle broke out between the two. Bohannon raised his fist in triumph, causing Don, who wore a stars-and-stripes hat and a white horseshoe mustache, to grab him by the throat. "I want charges pressed against this man. So we can put him in handcuffs and stick him in the back of the car,” Bohannon said with a hoarse voice, CNN reported. Don, 66, leaned against the patrol car while being questioned by the officer, still holding a Cruz campaign sign. He gently placed his hand on the deputy’s chest as if to demonstrate how gently he treated Bohannon, who he said was being too loud. 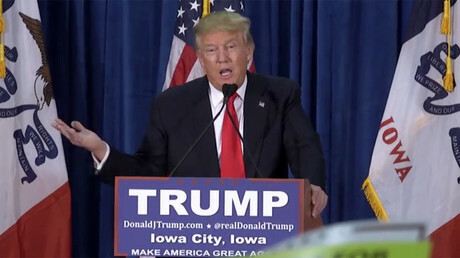 "This guy's screaming in my ear, and I couldn't hear anything," he said, according to CNN. Nye County Sheriff's Deputy Travis Buffi said that he was going to send the case to the district attorney's office and recommend a charge of misdemeanor battery. "I didn't do anything to be arrested," Don said, according to CNN. "If I was gonna hurt the guy, he was gonna be hurt." Bohannon told CNN he used to be a groundskeeper in California before exposure to toxic chemicals left him with chronic nerve damage; he has been living off of disability ever since. Bohannon made a Facebook post three nights earlier, indicating that he was raring for confrontation at the rally. "Sunday Ted Cruz will be making the mistake of visiting Pahrump and giving me a ticket to come see him!!! Maybe this time I can get ejected!!!" he wrote. While he was loud and clear about his distaste for Ted Cruz and support for Obamacare, he is not a Democratic partisan.